The Global Nature Foundation has completed 25 years of trajectory in 2018. 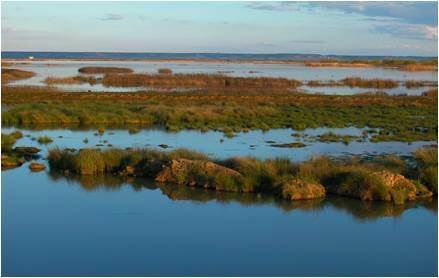 Initially promoted by the enthusiasm of five naturalists, our first project was the recovery of the old lagoon of Fuentes de Nava, in Palencia, dried out in the middle of the 20th century. 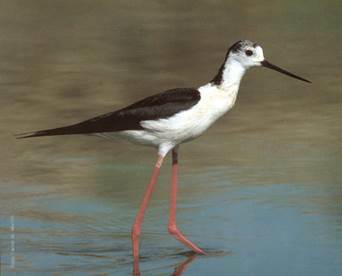 Today, 300 hectares have been reinundated for a quarter of a century and are home to one of the main wintering bird populations in the north of the Iberian Peninsula. Later, the neighbouring lagoons of Boada and Pedraza de Campos were recovered. 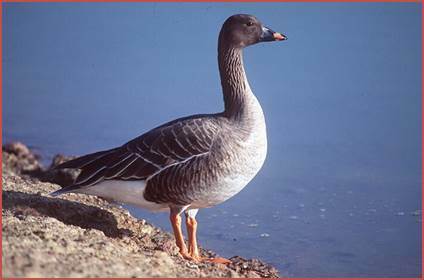 The lagoon complex is home to an average of between 40,000 ducks and 30,000 geese each year. The restoration of humid areas has been the main thread of our action. These ecosystems are home to half the biodiversity of our country and others in the Mediterranean environment. More than 60% are destroyed or seriously threatened. 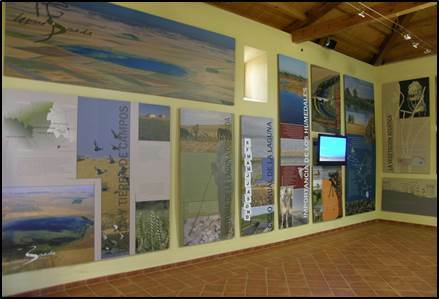 That is why we have invested 18.9 million euros in 110 wetlands that add up to nearly 14,000 hectares of flooding. The Global Nature Foundation has been the coordinating or associated beneficiary in 20 projects financed by the European LIFE programme as well as others financed by the ERASMUS and INTERREG programmes. 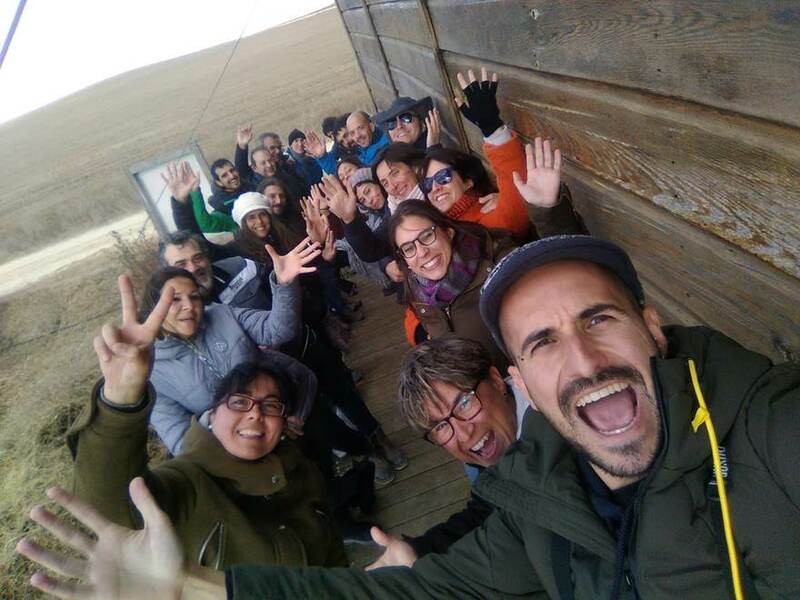 Half of them have focused directly or indirectly on wetland conservation in Castilla y León, Castilla-La Mancha and Comunidad Valenciana. 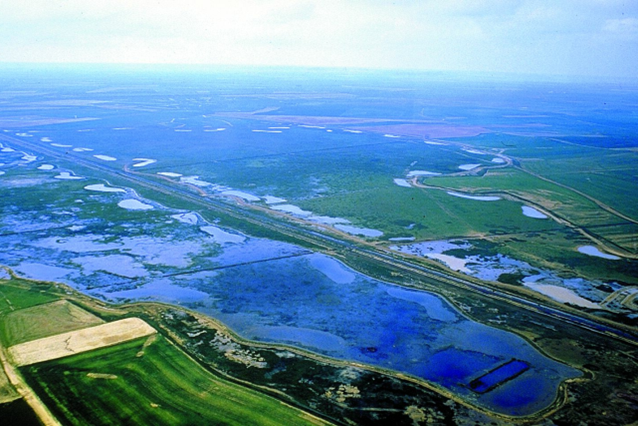 But working on wetland conservation and restoration means maintaining the quality of the water and the environments surrounding the lagoon basins, from which come the main problems that threaten them (extraction of water for irrigation, leaching from polluted agricultural and urban waters, sedimentation processes, loss of riparian vegetation, etc.). For this reason, our action was soon extended to the promotion of sustainable agriculture and corporate responsibility. The Foundation maintains an agricultural stewardship network for the development of conservation measures in collaboration with farmers. The network now has 470 agreements with farmers covering approximately 25,000 hectares. The modification and intensification of traditional agricultural practices is one of the most important causes of the decline of many endangered species, in particular steppe birds such as bustards, great bustards, cormorants, etc. The loss of hedges, fallow land and the cultivation of legumes, the advance of irrigation, or the use of fertilizers and chemical pesticides cause poisonings, lack of food as the amount of invertebrates decreases and the destruction of shelters. The introduction of short-cycle cereals has reduced the agricultural calendar. All the farmers associated with the custody network implement different types of agri-environmental measures, such as reducing the use of phytosanitary products and fertilisers or others for the improvement of biodiversity in the agricultural space, such as the implementation of vegetation cover or biological pest control. The improvement of ecological infrastructures is also a fundamental part of these efforts to improve agricultural habitats. The programmes for planting hedges and agricultural boundaries, as well as the regeneration of pastures in Extremadura, have enabled us to reach nearly 500,000 trees and shrubs planted. The assumption of a protocol of good cultivation practices allows us, in turn, to support farmers in the differentiated marketing of their products. Thus, between 40 and 60 tonnes of organic lentils grown in Natura 2000 areas are exported every year to Germany, obtaining an extra price for those more sustainable farmers who are in the vicinity of wetlands or who conserve steppe birds in Castilla-La Mancha. Up to now, we have developed 11 projects directly related to agriculture financed by the European Union or by Spanish administrations, but the Global Nature Foundation is also developing experiences in this sense with the private sector. The agrifood sector is interested in establishing long-term strategies to address these environmental and social challenges, and to secure the supply on which it depends, as well as more ethical behaviour. For example, we are working on the creation of sustainable procurement codes with companies such as Nestlé and Calidad Pascual. In parallel, we are also working with other companies from different sectors (energy, cosmetics, hotels, etc.) in the implementation of compensatory measures to the impact of their activity focused on the restoration of these traditional farming systems. All this activity would be meaningless if it were not accompanied by a radical change in citizens' awareness. For this reason, we have disseminated our work among more than 19,000 schoolchildren in recent years in the areas where we have been working and we plan to reach another 14,000 in the next three years. We have also trained hundreds of farmers and managers in innovative techniques to improve crop sustainability, water management of wetlands. 24 awards endorse this 25-year track record, but they cannot be an excuse for self-complacency. Hostels LA DEHESA: 16 km. from Monfragüe National Park, with capacity for 60 people, offers environmental education programs and activities, guides at PNM and Finca "El Baldío" and information on the territory and conservation projects of the Foundation. Tierra de Campos Hostel and Boada Museum: Environmental Education Center of Fuentes de Nava with capacity for 28 people that organizes (with the Casa Museo de la laguna de Boada), the Festival of Art and Nature and activities to discover the environmental and cultural heritage of the region. Sustainable Procurement Codes for Nestlé and Calidad Pascual. Nestlé fits the sustainable sourcing strategy developed by FGN into its Responsible Sourcing policy by creating a Sustainable Sourcing Protocol for Vegetables and Spices in Europe, North Africa and the Middle East. With Calidad Pascual we have worked on the environmental block of the internal milk supply protocol (hygienic, sanitary and technical aspects), developing more than 35 criteria that in 2018 are effective in 100% of its supplier farms. INTERREG EcoSustain. Transnational action for the maintenance of biodiversity by creating networks of protected areas, innovative technologies and more knowledge of the territory. 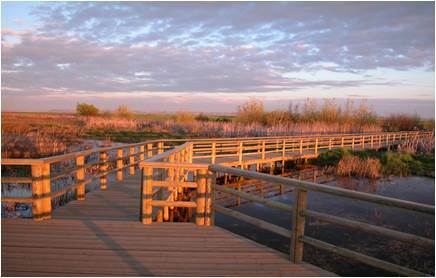 Innovative solutions are created to monitor water quality in protected wetlands. Diverse volunteering with companies. Volunteering involves company workers in a conservation project and will make them perceive nature in a very different way than usual. LIFE Steppes of La Mancha. It works to halt the decline in steppe bird populations in four Special Protection Areas for Steppe Birds of the Natura 2000 network in Castilla-La Mancha: La Mancha Norte, Humedales de La Mancha, San Clemente and Laguna del Hito. School orchards in La Mancha, Comunidad Valencia and El Hierro. An educational tool that fulfils two objectives: recovering biodiversity and educating schoolchildren in healthy and sustainable eating, circular economy and waste recycling. LIFE Paludicola. Water restoration and management of marsh vegetation in humid areas of Castilla León, Castilla La Mancha and Comunidad Valenciana to ensure adequate habitat for the Aquatic Warbler (Acrocephalus paludicola) and halt the decline of its population. LEÑOSOST Operative Group (Phase II APPROVED). The aim is for the Community of Madrid to adapt to climate change, reduce CO2 emissions, train farmers in sustainability, promote good practices, organic farming and improve knowledge of the carbon footprint. Tabaco ambiente Operative Group. It aims to create a line of production of tobacco from Extremadura differentiated on the basis of environmental criteria and put the value of tobacco production in the regions of Campo Arañuelo and La Vera. It means improving environmental and economic sustainability. 18.9 million invested in more than 14,000 ha of 110 wetlands. Custody network with 470 owners. More than 12,000 ha (+ agreement with 13,000 ha). Agreements with the following municipalities and councils: Madridejos, Lillo, Villacañas (Toledo), Mota del Cuervo, Pedro Naharro (Cuenca), Pedraza and Boada de Campos through the Diputación (Palencia), Torreblanca, Cabanes and 9 municipalities in Alto Mijares (Castellón). Maintenance of herds of autochthonous races in danger of extinction. Nearly 500,000 trees and shrubs planted. 19,120 schoolchildren trained in the last 5 years and 14,600 planned. Experience in development cooperation in 7 countries. 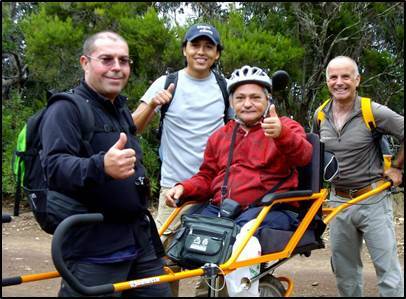 Pioneers in nature routes for the disabled. 24 national and international prizes, including the BBVA Prize for Conservation and the RAMSAR Prize. - Spanish Business and Biodiversity Initiative (IEEB). - Working group in CONAMA "Businesses and Biodiversity". - Association of Foundations for the Conservation of Nature. 18 entities. FGN is a member of the Board of Directors. - Living Lakes Network. More than 100 members from five continents. Coming soon members of Wetlands International. - RRN. National Rural Network. FGN is one of 8 environmentalist members out of a total of 119. - FAR. Rural Action Forum. 12 organizations working in the rural environment. - FRECT. State Forum of Custody Networks and Entities. 200 ent./2.000 agreements. FGN, member of the Board of Directors. - Custody Platform. 200 custody entities over 700,000 ha. - National Association of White Cacereña Breeders. National Association of Black Merina Breeders. - CONAMA. Working group on sustainable procurement. Have you previously hosted an intern? Is it a possibility in your organisation?